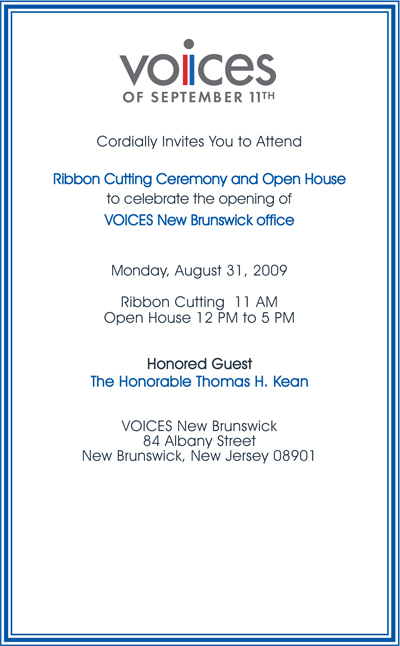 Voices of September 11th is proud to participate in the Inaugural World Trade Center Run to Remember on September 6, 2009 on Governors Island in New York City. 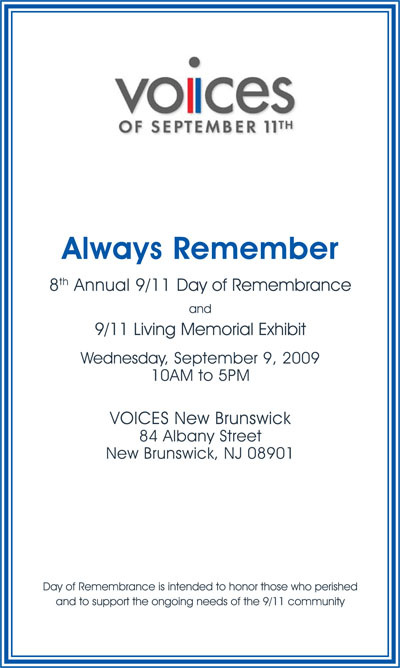 We invite you to join us to honor the memories of all the 9/11 victims while raising funds and awareness for several 9/11 organizations including Voices of September 11th. 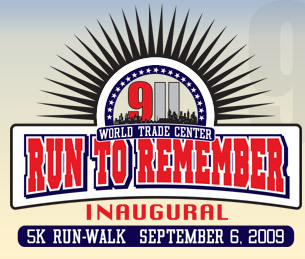 The Inaugural 9/11 World Trade Center Run to Remember, sponsored by the Run to Remember Foundation, Inc. will include a 3K Fun Run and a 5K Run/Walk on Governor's Island with more than five miles of car-free biking, acres of green space for picnics, art exhibitions, performances, and beautiful views of the Statue of Liberty. The ferry ride to the island is free.